Metal name tags are capable of full color imprinting and come in gold, silver, or white aluminum. They are lightweight and attractive, perfect if you want a sleek, modern look. 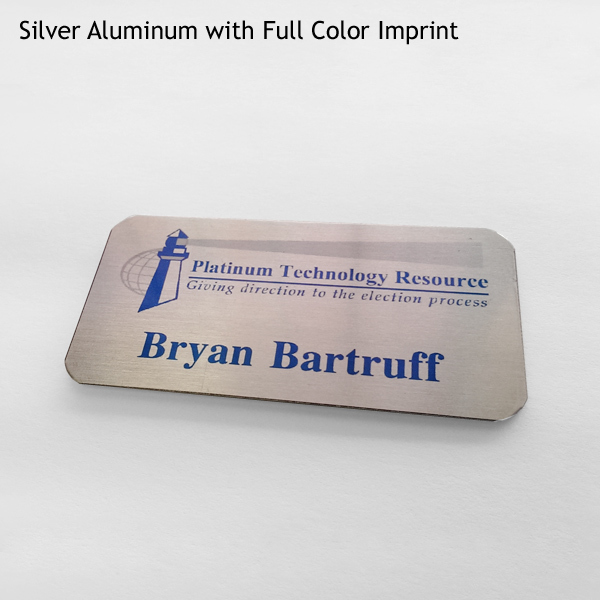 Metal name tags have rounded corners. Still not sure? Contact us to discuss which options work best for your project. For more information about submitting logos or graphics please visit our Artwork page.